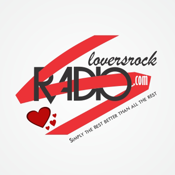 Welcome to Lovers Rock Radio the number one Internet Radio station for listeners, who love good quality music. Our target audience are listeners between the ages of 35+ who can relate to music from the 70s, 80s and 90s era, such as Revival, Lovers Rock, Reggae dance-hall, Soul, Disco, Roots, Studio one, Rare Grooves, and more. We also cater for lovers of Slow Jams, Jazz and Easy listening music. We are called Lovers Rock radio as our website is a tribute to the Lovers Rock era. We thank all producers, singers, songwriters; musicians who helped create this wonderful music. Our radio station is built on peace, love and unity, coupled with excellent music delivered by our quality presenters. We are on air 24 hour a day, seven days a week. Find us on-Tune inn radio search (loversrockradio) and save in your favorites, using your Smart phones, I pads, laptops.